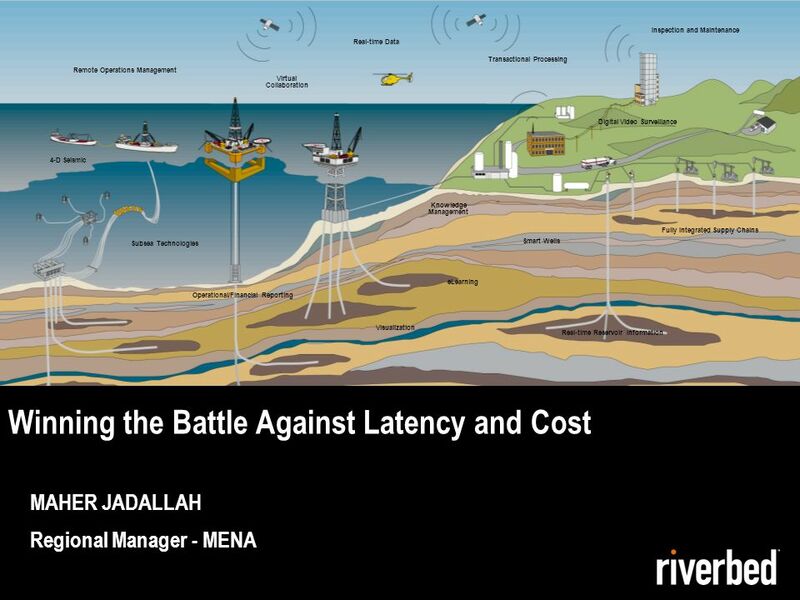 MAHER JADALLAH Regional Manager - MENA Winning the Battle Against Latency and Cost 1 © 2009 RIVERBED TECHNOLOGY, INC – CONFIDENTIAL Real-time Data Smart. 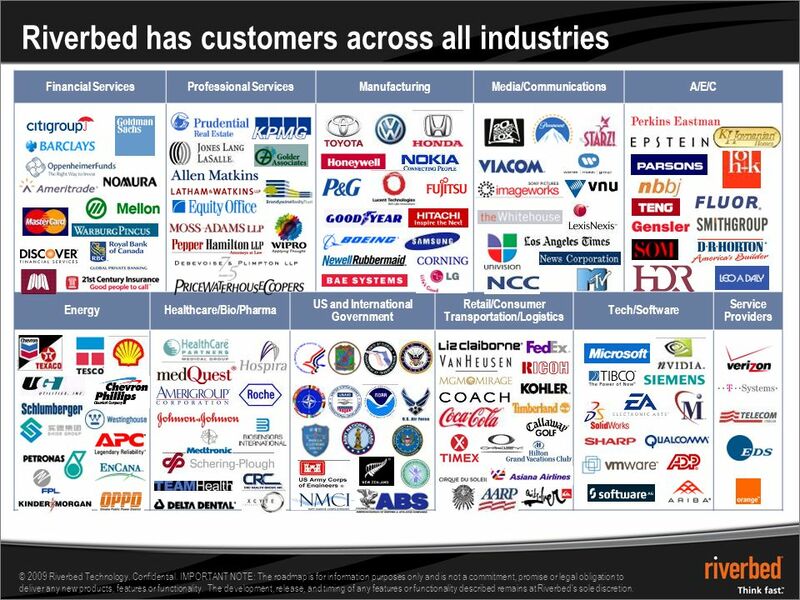 2 © 2009 Riverbed Technology. Confidential. IMPORTANT NOTE: The roadmap is for information purposes only and is not a commitment, promise or legal obligation to deliver any new products, features or functionality. 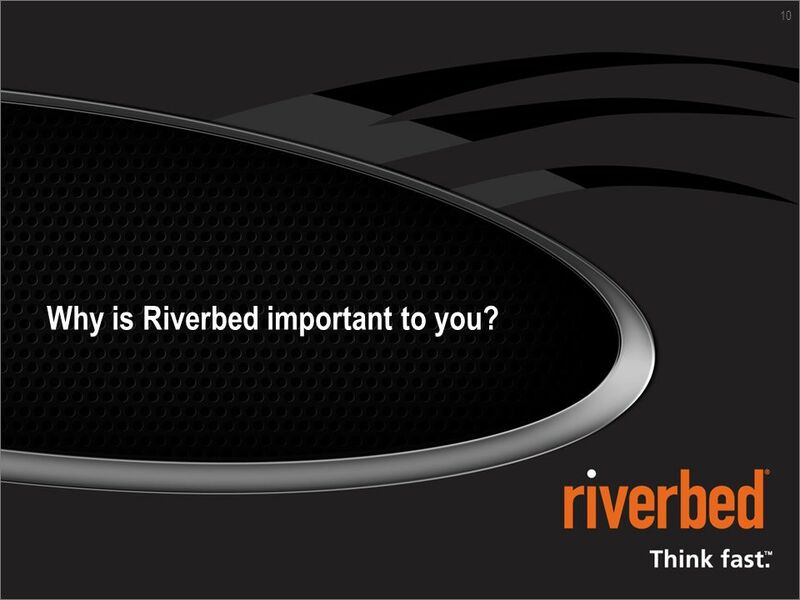 The development, release, and timing of any features or functionality described remains at Riverbed's sole discretion. What if you could…. 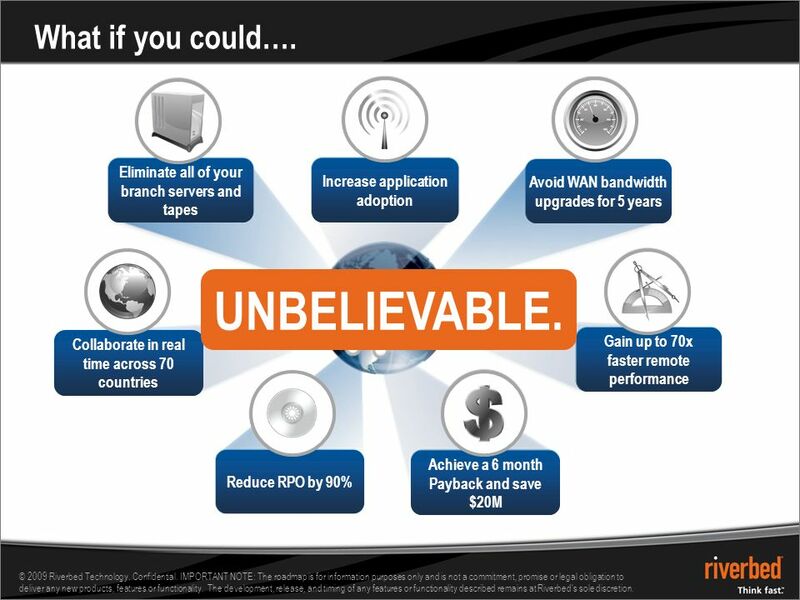 Eliminate all of your branch servers and tapes Increase application adoption Avoid WAN bandwidth upgrades for 5 years Gain up to 70x faster remote performance Achieve a 6 month Payback and save $20M Reduce RPO by 90% Collaborate in real time across 70 countries UNBELIEVABLE. 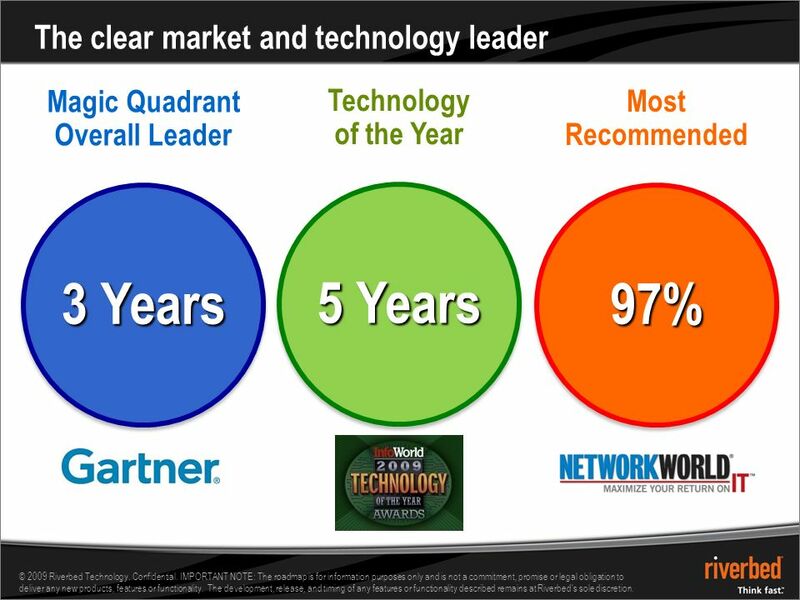 3 © 2009 Riverbed Technology. Confidential. IMPORTANT NOTE: The roadmap is for information purposes only and is not a commitment, promise or legal obligation to deliver any new products, features or functionality. 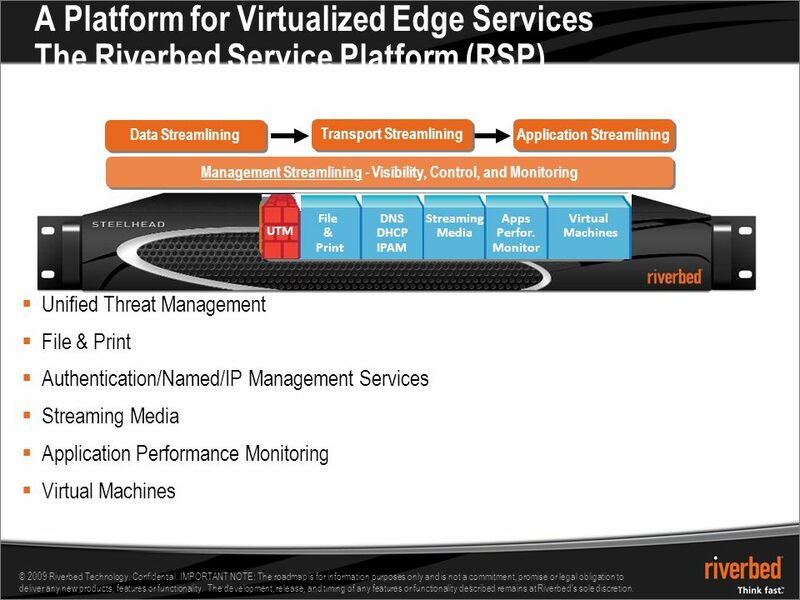 The development, release, and timing of any features or functionality described remains at Riverbed's sole discretion. 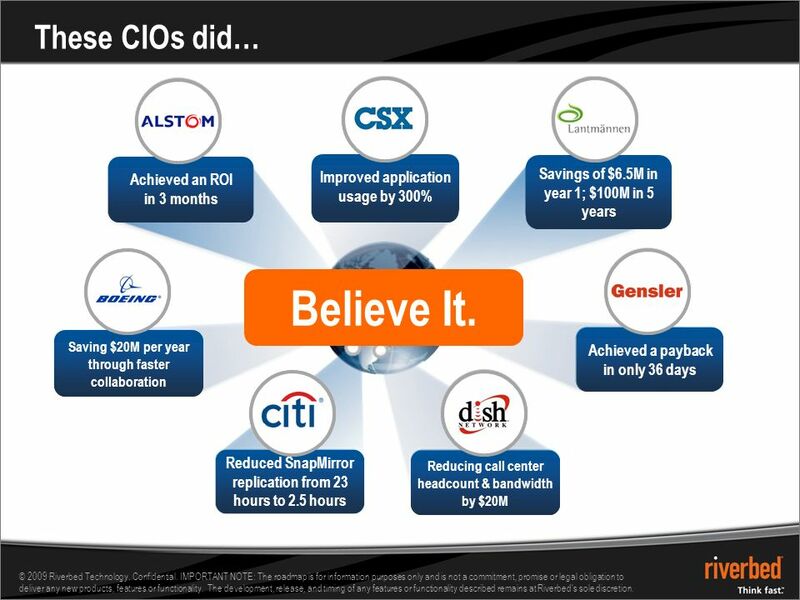 Eliminate all of your branch servers and tapes Increase application adoption rate Avoid WAN bandwidth upgrades for 5 years Gain up to 70x faster remote performance Achieve a 6 month Payback and save $20M Reduce RPO by 90% Collaborate in real time across 70 countries These CIOs did… Improved application usage by 300% Savings of $6.5M in year 1; $100M in 5 years Saving $20M per year through faster collaboration Reduced SnapMirror replication from 23 hours to 2.5 hours Reducing call center headcount & bandwidth by $20M Achieved a payback in only 36 days Achieved an ROI in 3 months Believe It. 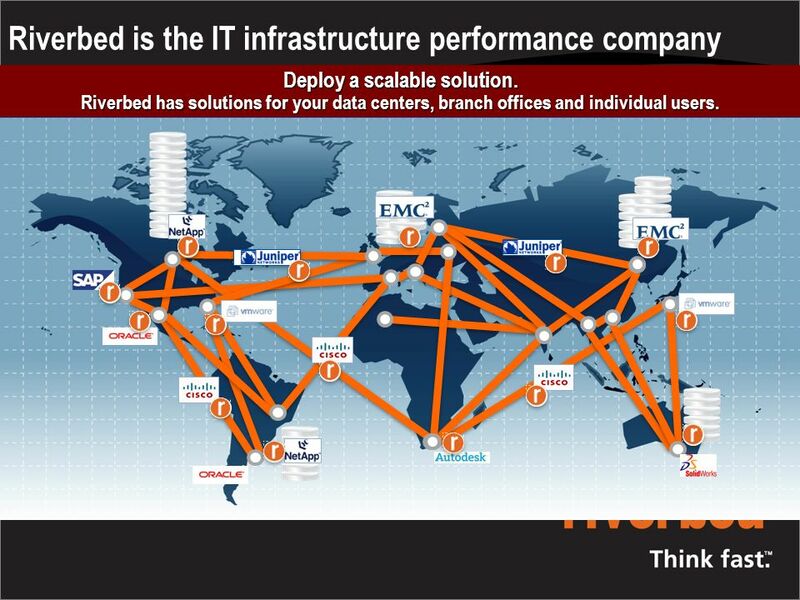 17 Riverbed is the IT infrastructure performance company Eliminate the effects of distance Eliminate the effects of distance. Makes 3,000 miles seem like 30 feet Makes 3,000 miles seem like 30 feet Cut the fat. 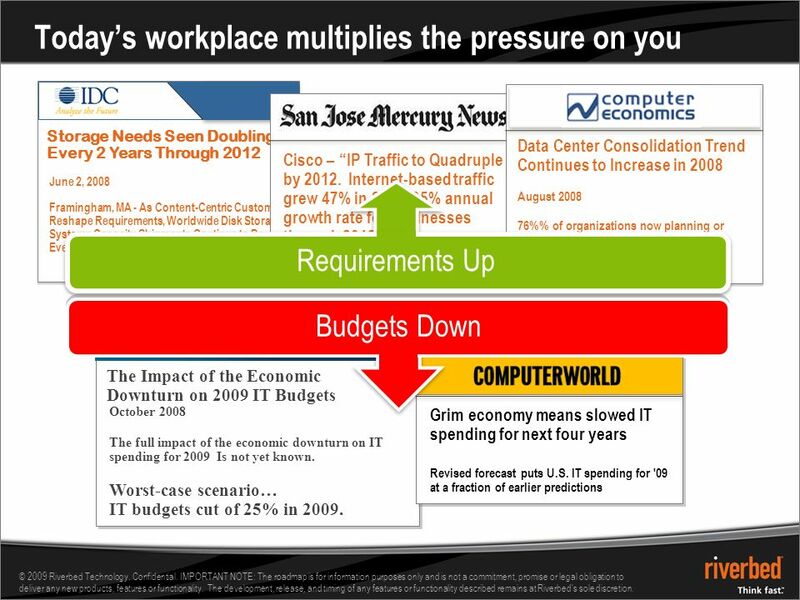 Use 90% less bandwidth – Reduce data fat– Eliminate IT sprawl Use 90% less bandwidth – Reduce data fat– Eliminate IT sprawl Keep it simple. Get up and running in as little as 15 minutes Do more with what you have. 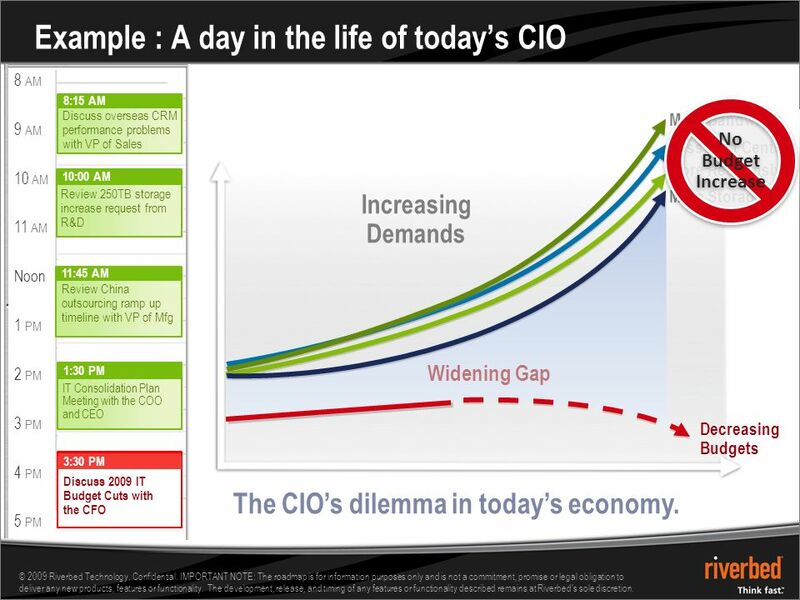 Deploy a scalable solution. 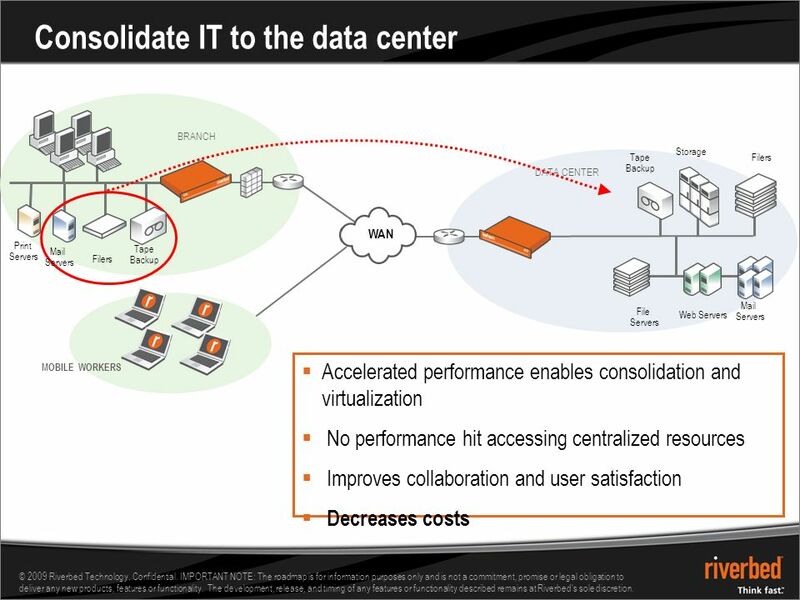 Riverbed has solutions for your data centers, branch offices and individual users. 22 © 2009 Riverbed Technology. Confidential. IMPORTANT NOTE: The roadmap is for information purposes only and is not a commitment, promise or legal obligation to deliver any new products, features or functionality. 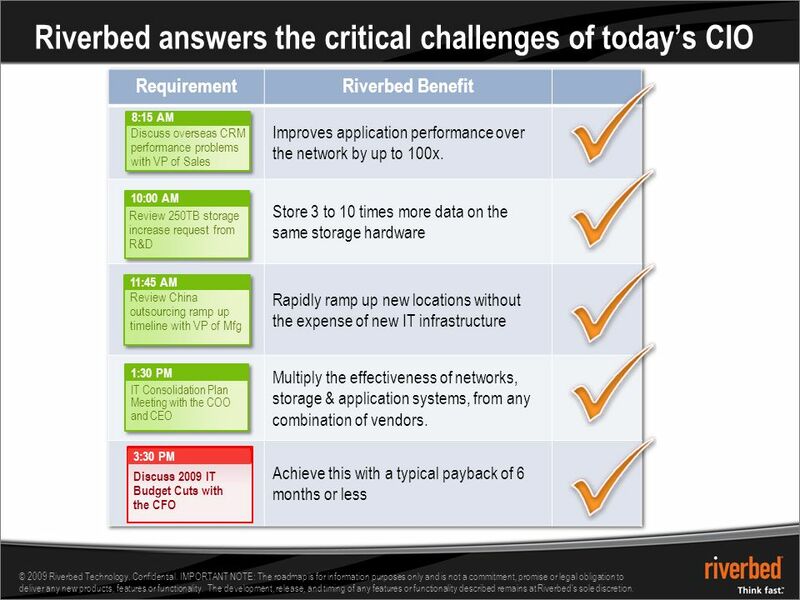 The development, release, and timing of any features or functionality described remains at Riverbed's sole discretion. 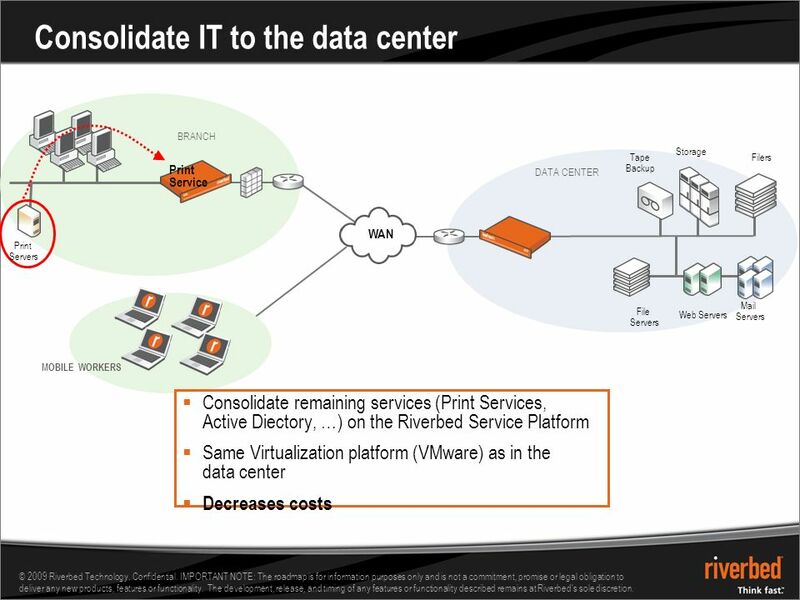 How can you cut costs with Riverbed? 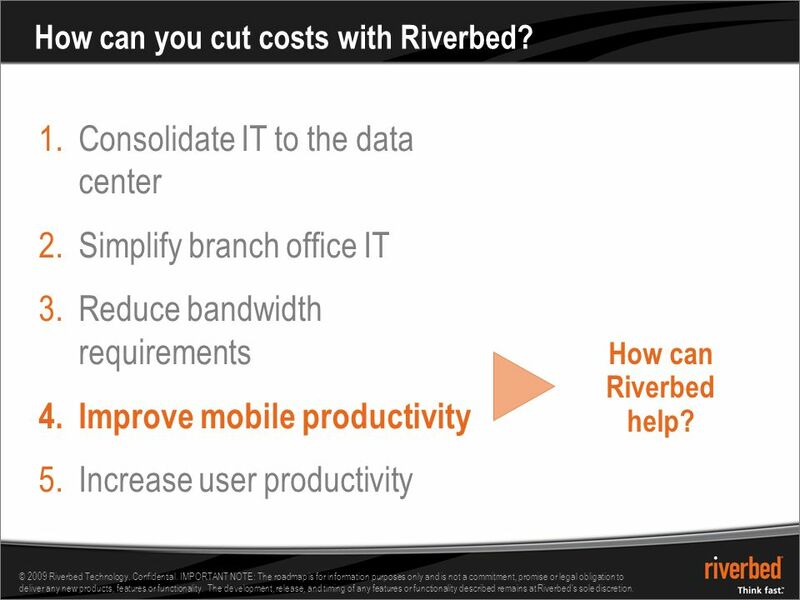 1.Consolidate IT to the data center 2.Simplify branch office IT 3.Reduce bandwidth requirements 4.Improve mobile productivity 5.Increase user productivity How can Riverbed help? 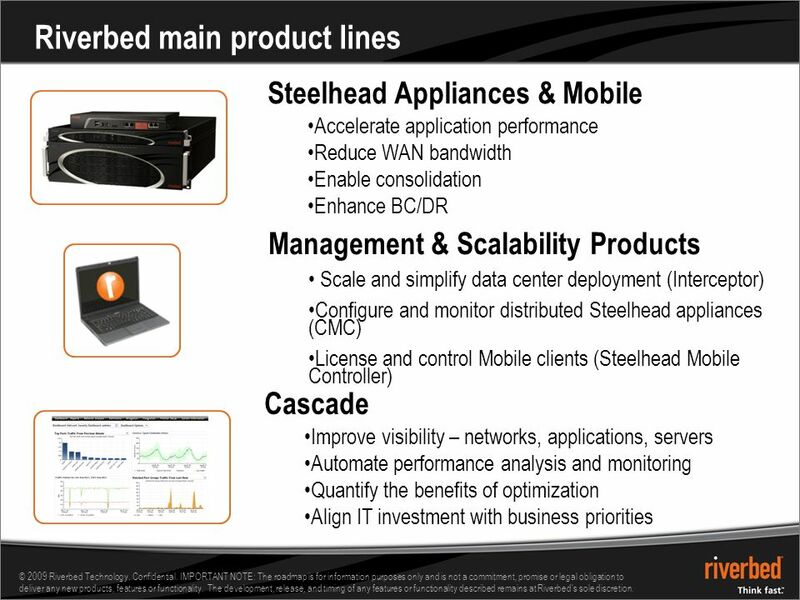 24 © 2009 Riverbed Technology. Confidential. IMPORTANT NOTE: The roadmap is for information purposes only and is not a commitment, promise or legal obligation to deliver any new products, features or functionality. 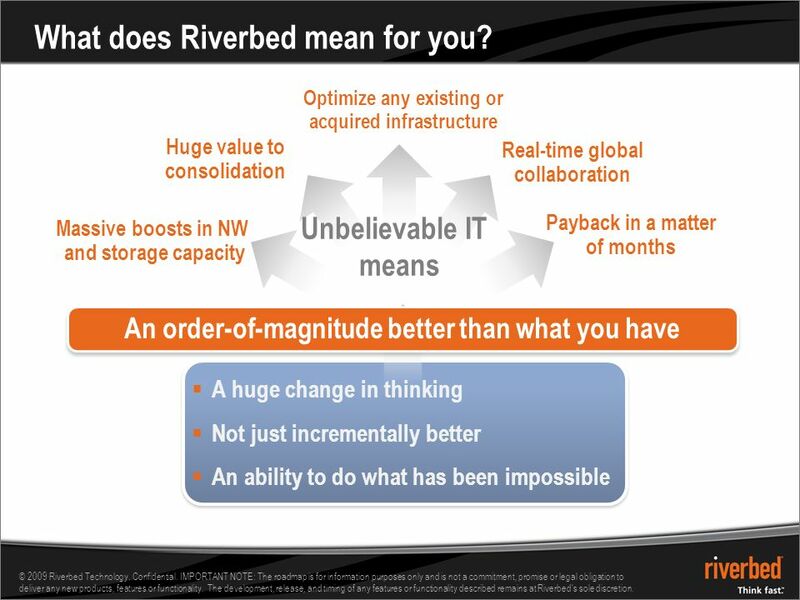 The development, release, and timing of any features or functionality described remains at Riverbed's sole discretion. 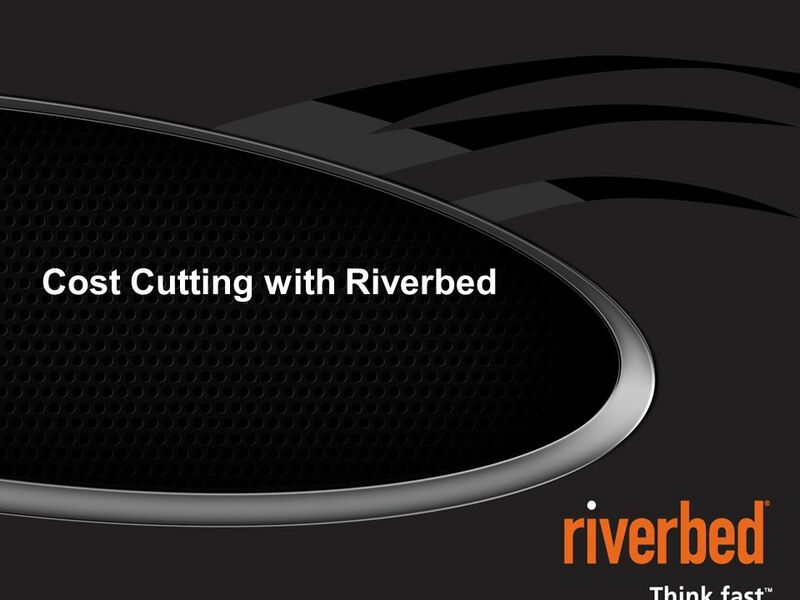 How can you cut costs with Riverbed? 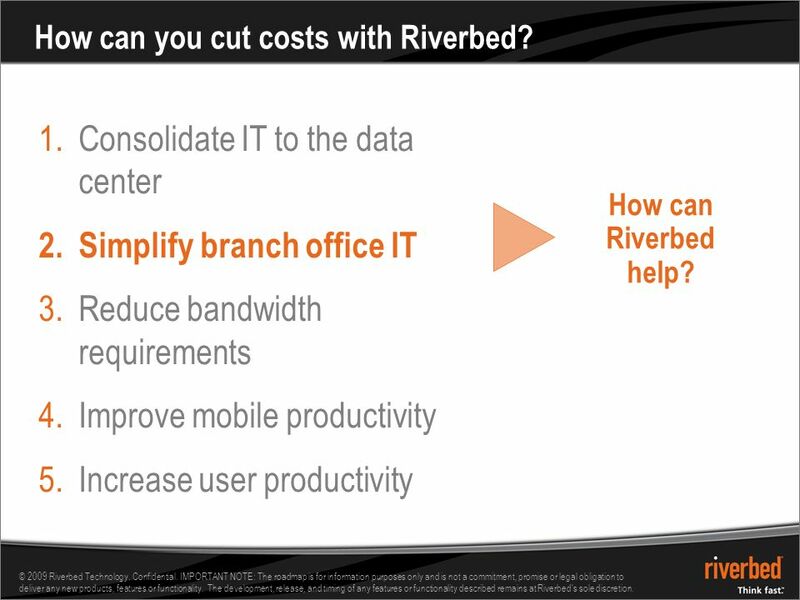 1.Consolidate IT to the data center 2.Simplify branch office IT 3.Reduce bandwidth requirements 4.Improve mobile productivity 5.Increase user productivity How can Riverbed help? 26 © 2009 Riverbed Technology. Confidential. IMPORTANT NOTE: The roadmap is for information purposes only and is not a commitment, promise or legal obligation to deliver any new products, features or functionality. 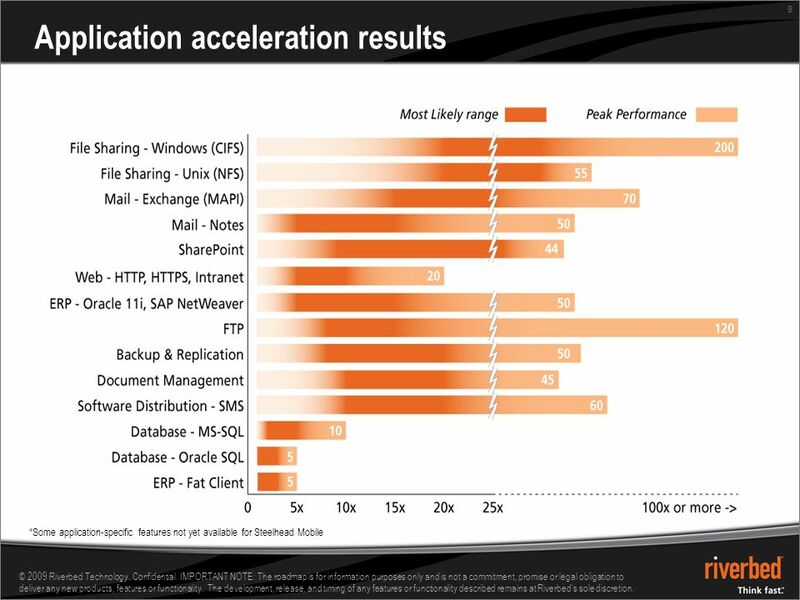 The development, release, and timing of any features or functionality described remains at Riverbed's sole discretion. 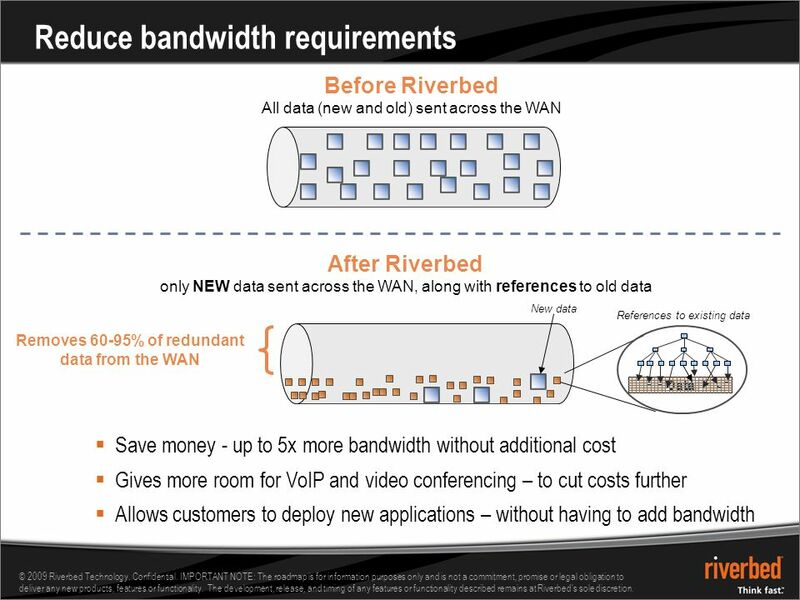 How can you cut costs with Riverbed? 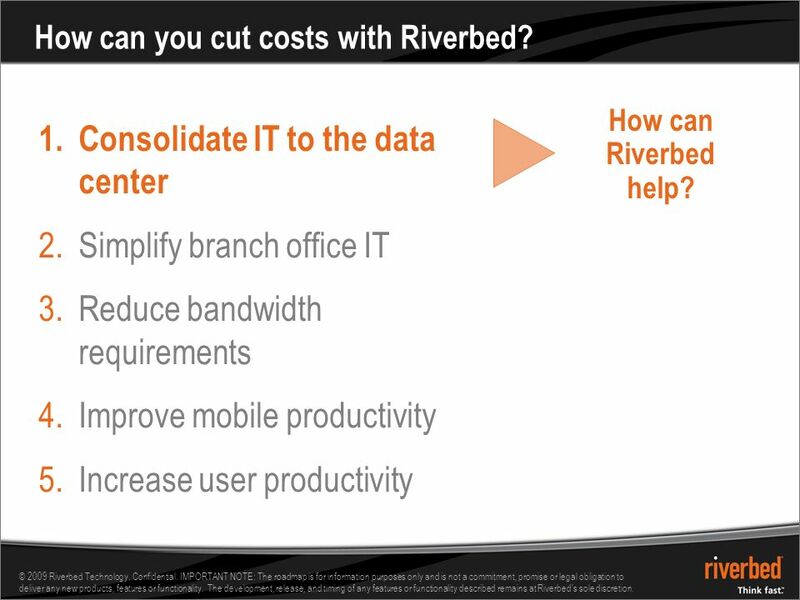 1.Consolidate IT to the data center 2.Simplify branch office IT 3.Reduce bandwidth requirements 4.Improve mobile productivity 5.Increase user productivity How can Riverbed help? 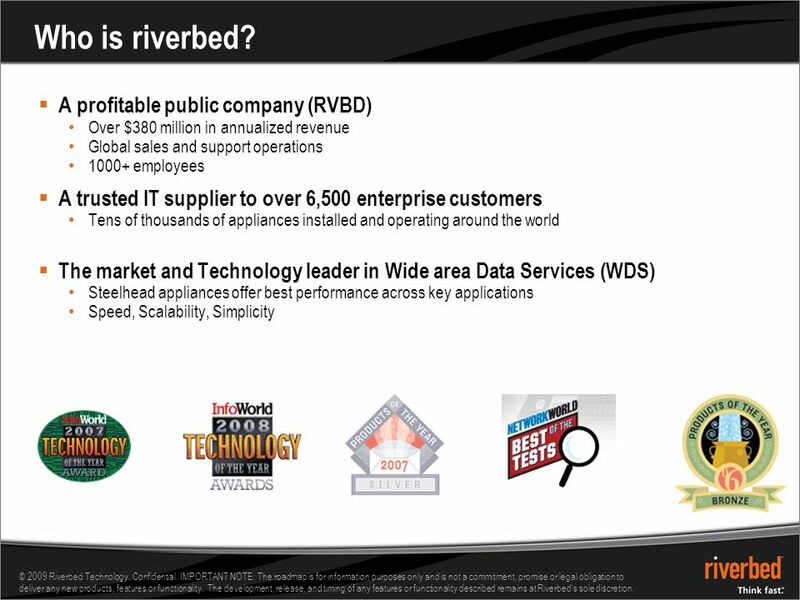 28 © 2009 Riverbed Technology. Confidential. IMPORTANT NOTE: The roadmap is for information purposes only and is not a commitment, promise or legal obligation to deliver any new products, features or functionality. The development, release, and timing of any features or functionality described remains at Riverbed's sole discretion. 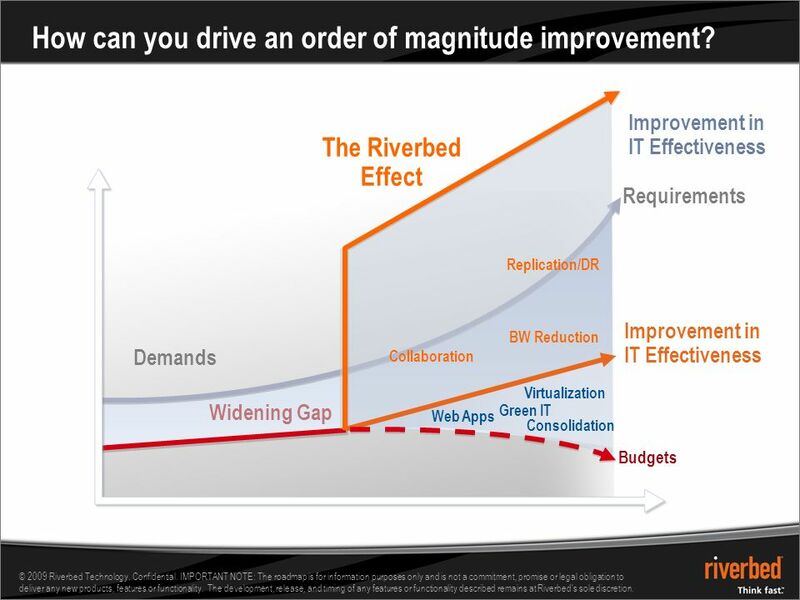 How can you cut costs with Riverbed? 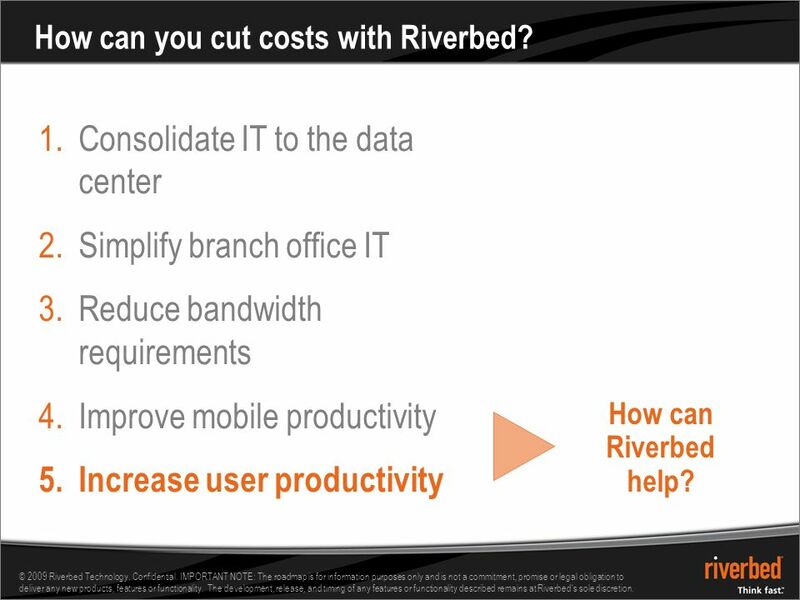 1.Consolidate IT to the data center 2.Simplify branch office IT 3.Reduce bandwidth requirements 4.Improve mobile productivity 5.Increase user productivity How can Riverbed help? 30 © 2009 Riverbed Technology. Confidential. IMPORTANT NOTE: The roadmap is for information purposes only and is not a commitment, promise or legal obligation to deliver any new products, features or functionality. 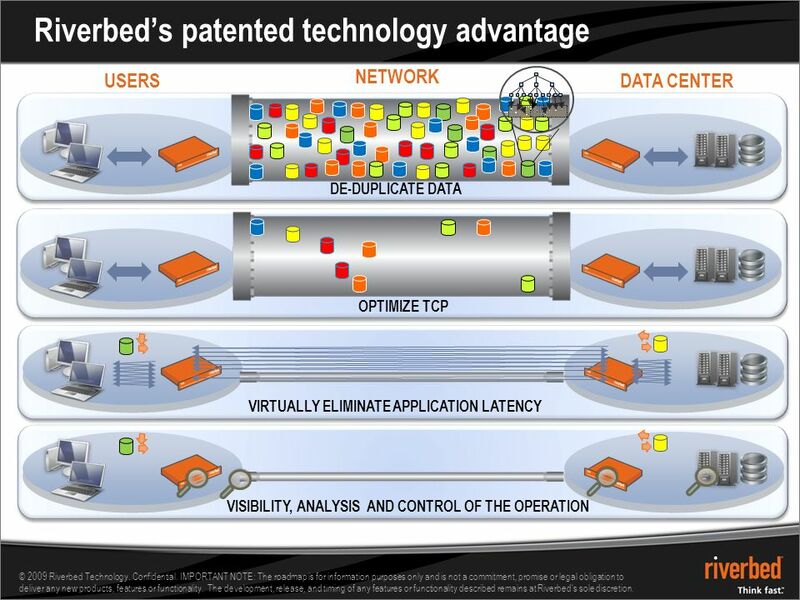 The development, release, and timing of any features or functionality described remains at Riverbed's sole discretion. How can you cut costs with Riverbed? 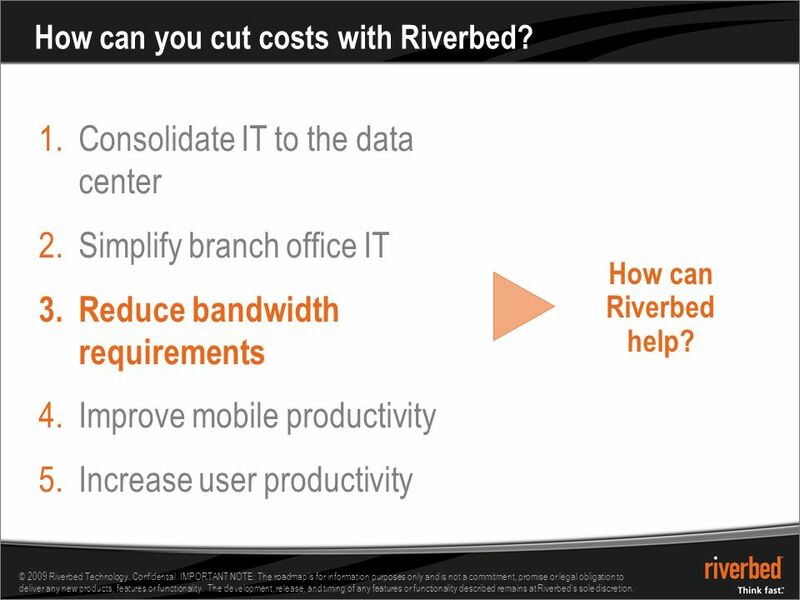 1.Consolidate IT to the data center 2.Simplify branch office IT 3.Reduce bandwidth requirements 4.Improve mobile productivity 5.Increase user productivity How can Riverbed help? 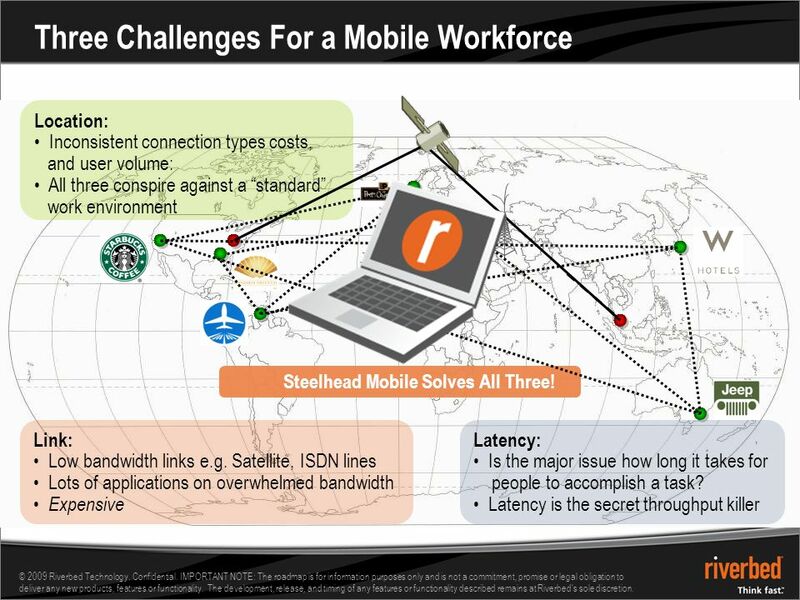 Download ppt "MAHER JADALLAH Regional Manager - MENA Winning the Battle Against Latency and Cost 1 © 2009 RIVERBED TECHNOLOGY, INC – CONFIDENTIAL Real-time Data Smart." Innovative Broadband Services C hanging the way we compute: Virtual-Office : Business from anywhere Nikolaos Desypris, Chief Executive Officer BROnet Hellas. 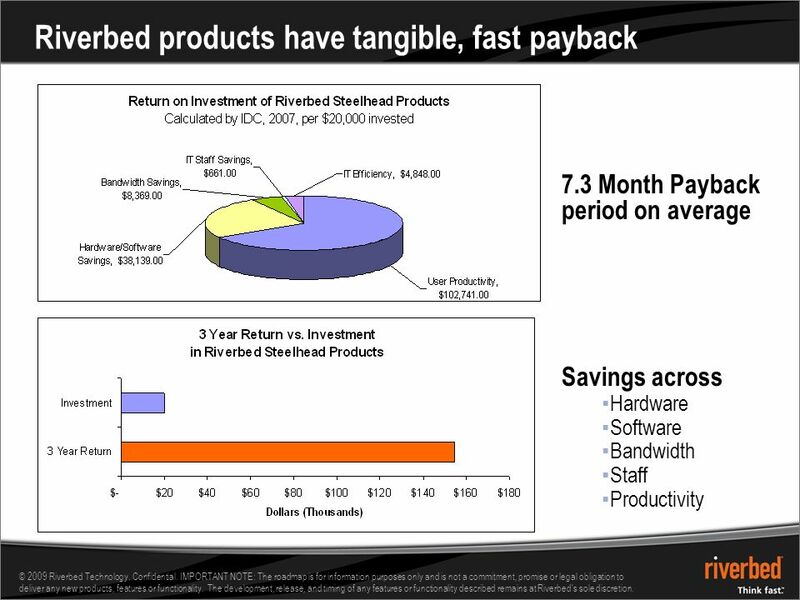 1 © 2009 Riverbed Technology. Confidential. IMPORTANT NOTE: The roadmap is for information purposes only and is not a commitment, promise or legal obligation. > THIS IS THE WAY > THIS IS. 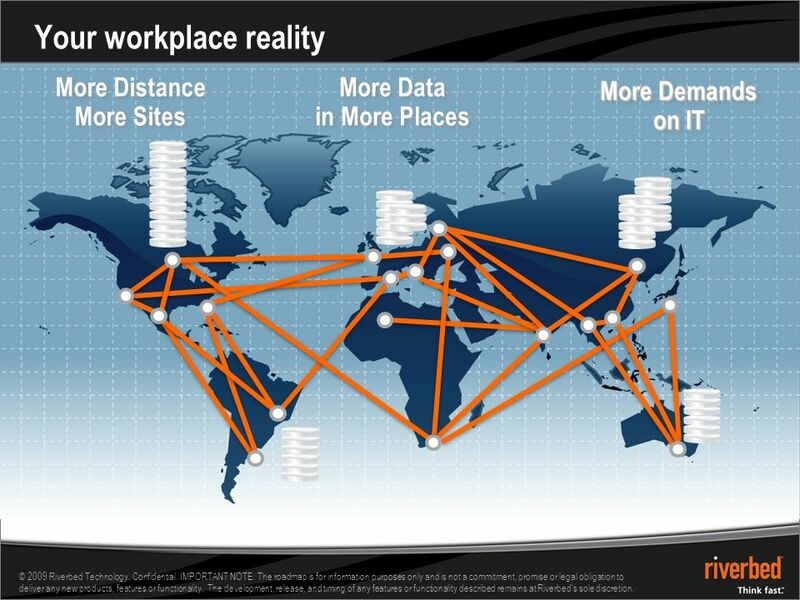 The Virtual Enterprise Distributed Workforce Increasing Mobility Demanding Customers Hungry Competitors Budget Crunch The. 1 © Aberdeen Group 2013 – Not For Distribution ™ Meeting the Rising Challenge of Modern Networks.